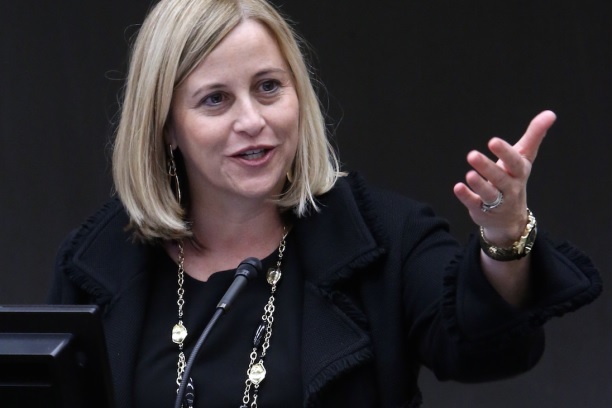 MAYOR MEGAN BARRY of the Metropolitan Government of Nashville and Davidson County continued this week her engagement with local Entrepreneurial and Creative communities, while sorting through a myriad of ideas for advancing Music City. Barry yesterday joined a celebration of Bunker Labs Nashville's landing Comcast as its founding sponsor, during an event at Nashville Entrepreneur Center. There, she embraced not only support of veterans, but also their role in helping spur Nashville entrepreneurship. The night before, she participated in the annual meeting of Nashville Capital Network (NCN), the 13-year-old Angel-investor group. Also this week, the Mayor announced her appointment of Audra Ladd as her Administration's liaison to Small Business and Creative sectors. Ladd reports to Matt Wiltshire, director of Metro's office of economic and community development. VNC understands that engagement with the startup and other entrepreneurial communities is to be shouldered by both Wiltshire and Ladd. Yesterday, the Mayor told Venture Nashville that she, Mayoral Chief of Staff Debby Dale Mason and others continue to evaluate scores of recommendations for advancing Nashville, which she collected during and since her successful campaign to succeed former Mayor Karl Dean. She was inaugurated just 154 days ago, Sept. 25. The Mayor has signaled in various ways that she is not only offering, but also asking help from Business, including the early-stage entrepreneurial sector. The Mayor's first "ask" may be a request to help propel an initiative to create as many as 10,000 summer jobs for Nashville, built stepwise over a several-year period. In 2015, as widely reported, Boston generated more than 10,000 summer jobs, after several years spent building the program with substantial government and non-governing nonprofits' support, as well as private-sector involvement. Several sources said a similar Metro/Nashville initiative seems to be flowing from the Mayor's push to address Youth Violence, which has included a Summit and other major conferences and lesser events. The next Youth Violence Summit event is set for this Saturday, after which a report and recommendations are to be issued. A source said it seems likely that the Mayor will unveil the Summer Jobs push in March, if not before. Asked NCN's views of the Mayor's undertaking, NCN Executive Director Sid Chambless noted that while NCN's investment in portfolio companies naturally creates new jobs and potential internship opportunities, "I suspect we can do more." Chambless added, "The Mayor asked for our help and we will give it our best. In addition to trying to develop internship opportunities in our portfolio companies, we will spread the word among our investor and sponsor partners as well. Meanwhile, it should be noted that Small-business, Creative and Entrepreneurial operators have also provided Metro Government numerous ideas on how to help employers. A number of those ideas found their way into "The NashvilleNext Plan," which was largely adopted by Metro Council in mid-2015, with some trailing matters likely to be completed yet this year. In fact, the addition of Ladd to ECD this week could be interpreted as satisfying a NashvilleNext proposal that Metro create an Office of Cultural and Creative Economy. In addition to general recommendations (e.g., ensuring Nashville's business regulations are clear), NashvilleNext identified numerous tactics, including creating more co-working and other investment-ready "places" in which enterprises can develop and grow, and where owners can receive counsel and training. The voluminous NashvilleNext plan also stresses the importance of Arts & Creative communities, and the need to help creators seeking housing to cope with "the affordability chasm" in urban Nashville. 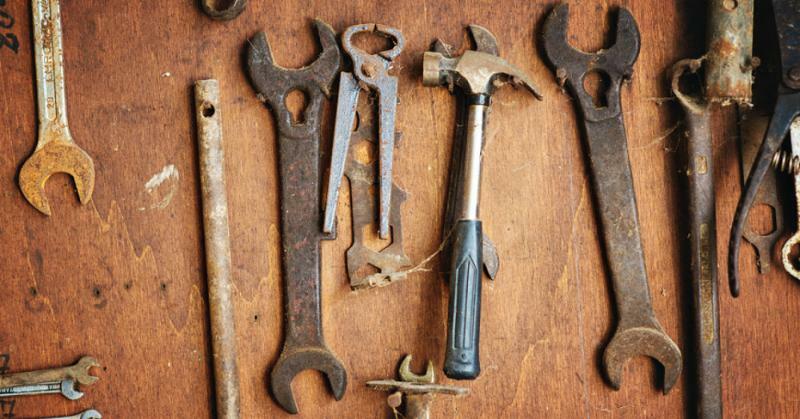 Among other things, the report emphasized that the Arts & Creative sector produces many of the small businesses, sole proprietorships, contractors and microbusinesses that also help other businesses thrive. Also recently, the "Culture Here" report on Nashville cultural assets and activities carried suggestions, including improving Arts & Creative access to adequate facilities, with assets sufficiently dispersed in the county to ensure engagement of all segments of the population. One of the most extensive slates of suggestions for incoming Mayor came from Entrepreneurs Organization (EO) Nashville. After the 2015 Mayoral Election, the EO Chapter convened a press conference and presented Mayor Barry with 38 suggestions for "making the city an even more successful and welcoming place" for entrepreneurs and others (pdf here). In addition to numerous ideas regarding traffic, transportation, infrastructure and housing, EO suggested North Nashville Tech/startup development; a push to 10Gig broadband connectivity that would rival that of Chattanooga; entrepreneurship education for local high-schoolers; increased Tech-industry and Tech-talent recruitment; a Film-making economic incentive program and a related fund; Drone business-friendly city regulations that protect life and property; and, more incentives for native small businesses akin to those used in recruiting very large employers. EO Chapter President Charles May confirmed this week the chapter has had no further word on results of any review by the Barry Administration. All the initiatives listed above, and others not cited here, complement a wide range of previously announced entrepreneurial and Creative initiatives. 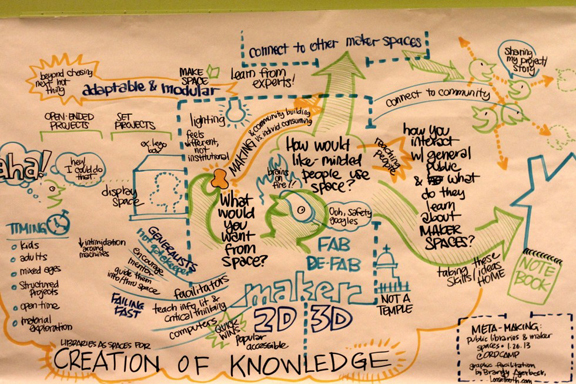 For example, Vanderbilt University and its School of Engineering are supporting advancement of the Maker and startup communities, with a new campus Innovation Center set to open, soon. Entrepreneurship programs at Tennessee State University and its Small Business Incubation Center, as well as at Belmont University, Lipscomb University and the VU Owen Graduate School of Management also seem to be stirring vigorously, to name but a few. Simultaneously, Nashville is seeing existing business and innovation actors staking-out new territory: The Nashville Entrepreneur Center has launched Project Music and Project Healthcare, and continues to explore supporting financial technology (FinTech) startups and other verticals, while expanding existing services to nearby communities and creating new revenue streams. Entrepreneur Tim Ozgener, four years after creating Oz Arts, presses on with his Oz Nashville arts venue, and the city's decade-old Arts & Business Council seems to have its most robust programming, thus far. Metro Arts Commission is conducting a Learning Lab for up to 25 Artists seeking knowledge of "civic, public, social and place-making practices," with an April 4 deadline for applications. A grant competition is included. 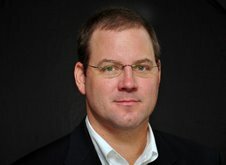 Jumpstart Foundry, formerly an accelerator, has not only pivoted from sector-agnosticism into pure Healthcare technology and services, but is also creating a small, annually renewing venture fund. And, while Mountain, a short-lived but prominent interactive agency is no longer, serial entrepreneurs Jacob Jones and Marcus Whitney have co-founded The Unlikely Company, which aims to enable underrepresented entrepreneurs and Creatives to achieve upward economic mobility. Moreover, as previously reported, Whitney has joined with Oasis Center to create Oasis Venture, a youth-development initiative focused on social enterprise. Ferment within Nashville's Creative, Entertainment, Maker and Entrepreneurial communities seems to be undergoing a post-Recession acceleration. 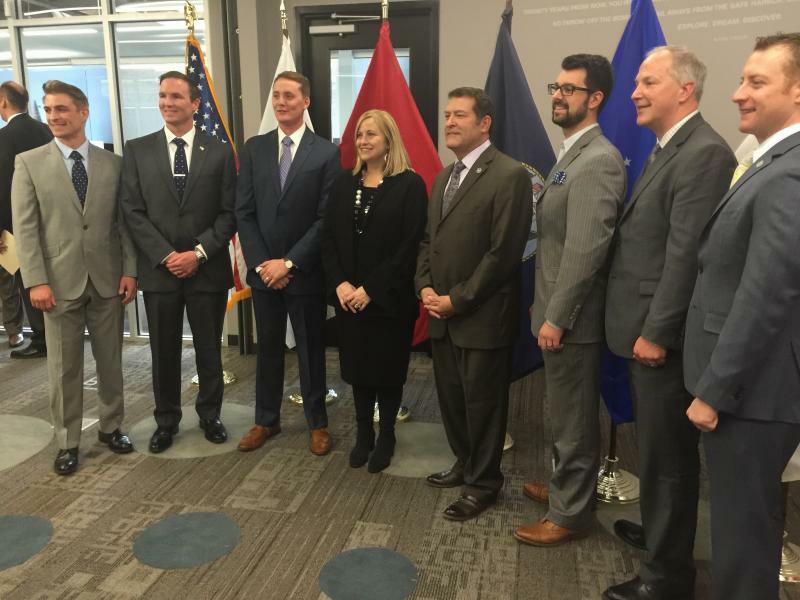 * BunkerLabs contingent in photo above, Left to Right: Sean Patton, US Army Capt., CEO UFC Gyms; Daniel Barry, US Army Capt., Bunker Labs Nashville Cofounder; Mayor Megan Barry; TN Senator Mark Green (R-22-Clarksville); Sam Lingo, President & COO, EC; Andy Macke, VP, Comcast Corporation; Alex Bertelli - US Army Capt., CEO of HavenLock. Last edited 8:22pm 28 February 2016.